Hannah Hart, YouTuber, creator of My Drunk Kitchen and New York Times bestselling author, knows how to have a good time over a good meal better than anyone. 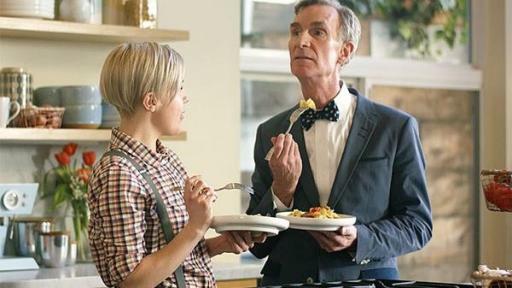 As the host of the new web series, While the Water Boils™, now live on YouTube and PassionForPasta.com™, Hart is once again doing what she does best with the help of cultural icons like Bill Nye and others who embody distinct passions. For more information about the series, visit YouTube and PassionForPasta.com. Pasta and passion go together. That’s why Barilla created Passion For Pasta™, an initiative that celebrates pasta’s ability to bring people together, inspire creativity, and ignite passion even in the smallest moments. 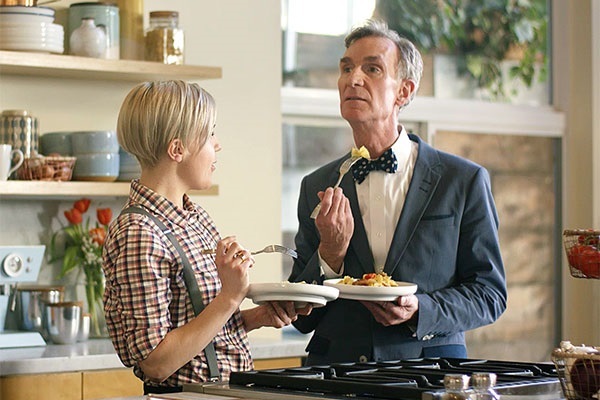 The new centerpiece of that initiative is “While the Water Boils™,” a web series where well-loved cultural icons dish about life, pasta and the pursuit of passion—all in about the time it takes to cook pasta. For more information, please visit: passionforpasta.com. Founded in 1877 from a bread and pasta shop in Parma, Italian family-owned Barilla is an international group and top global food company. A world leader in the markets of pasta and ready–to–use sauces in continental Europe, bakery products in Italy, and the crispbread business in Scandinavia, the Barilla Group owns 29 production sites (14 in Italy and 15 abroad) and exports to more than 100 countries. Every year, its plants turn out approximately 1.7 million tons of food products that are consumed on tables all over the world, under the following brand names: Barilla, Mulino Bianco, Harrys, Pavesi, Wasa, Filiz, Yemina e Vesta, Misko, Voiello and Academia Barilla. The Barilla Group has one way of doing business: “Good for You, Good for the Planet.” “Good for You” means constantly improving its products, motivating people to adopt healthy lifestyles and improving food access and social inclusion. “Good for the Planet” means promoting sustainable supply chains and reducing the C02 emissions and water consumption that occur during the production process. For more information, please visit: barillagroup.com.